An interesting little snippet about progress, or lack thereof, at Tottenham Hale Station. This is from the latest Programmes and Investment Cttee papers - Q2 18/19 Investment Programme Report. 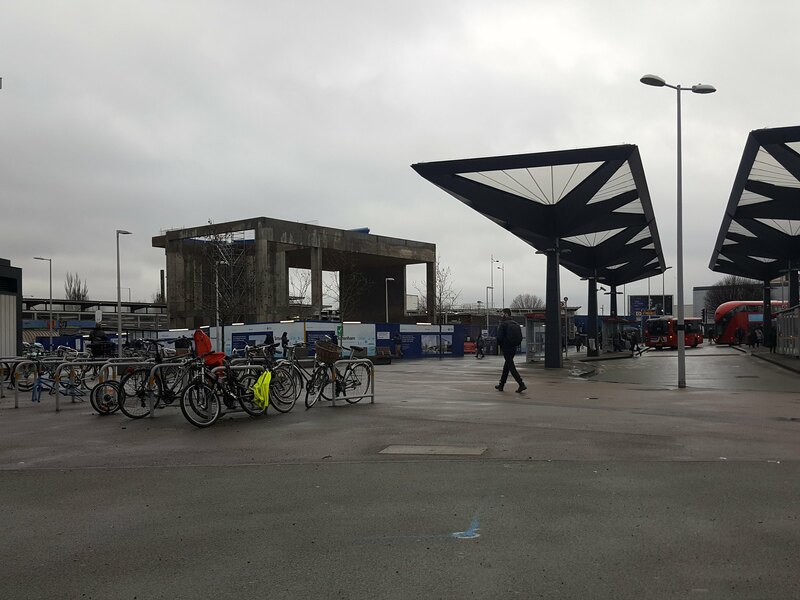 We continue the redevelopment and upgrade of Tottenham Hale station. 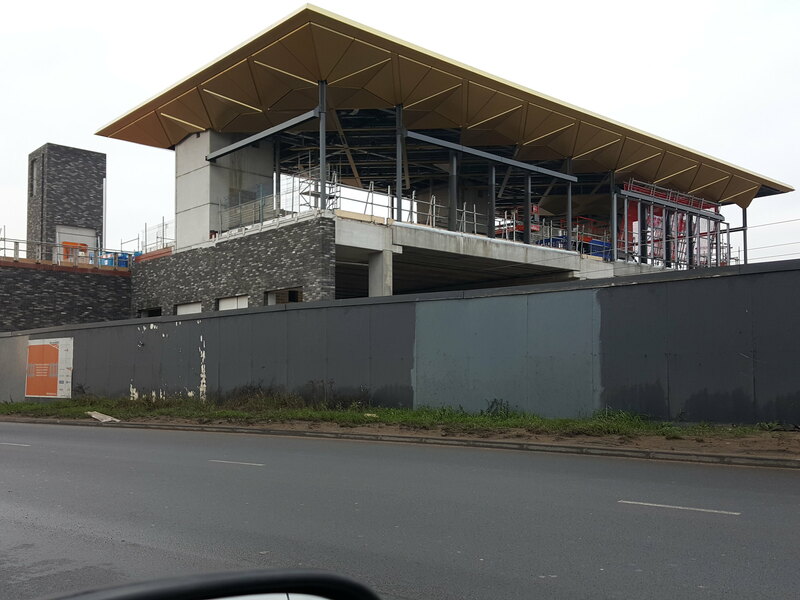 Works to non-customer areas were completed on 7 November and foundation works are planned for completion later in 2018. Works above ground level will follow pending a resolution with the train operating company and Network Rail revenue protection issues. Looks like the utterly ludicrous "2 gatelines" design is causing some dispute between LU and Greater Anglia. It's not an easy thing to fix given different PAYG tariffs apply to the different operators' services plus GA will want to protect Stansted Airport revenues. Can't say I am surprised that the design is proving problematic. so is the new station building at Tottenham Hale being designed with this daft two sets of gates layout in mind? The design that got planning approval certainly did have two gatelines. 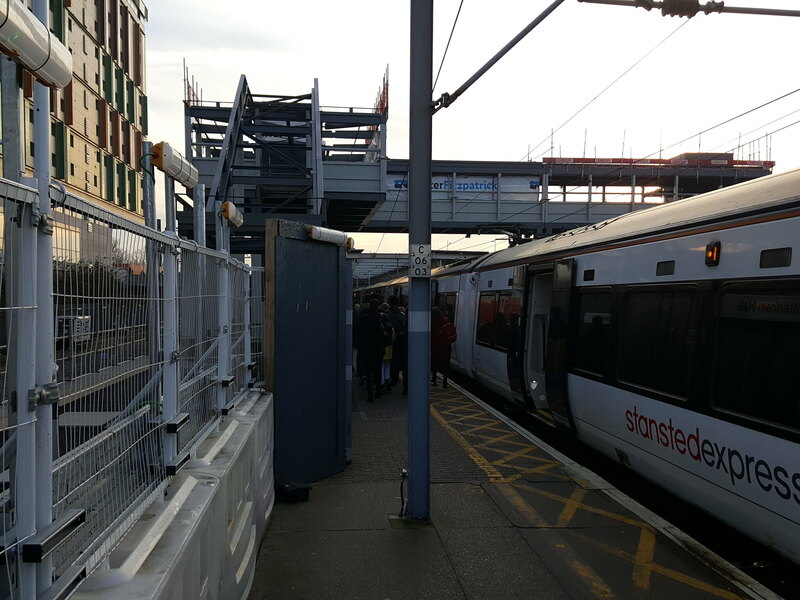 It also added a footbridge link over the new third track (off the end of the existing footbridge over the GA tracks) to the blocks of student flats. That link would become "unpaid" in the new design and is one of the reasons why there were (are?) 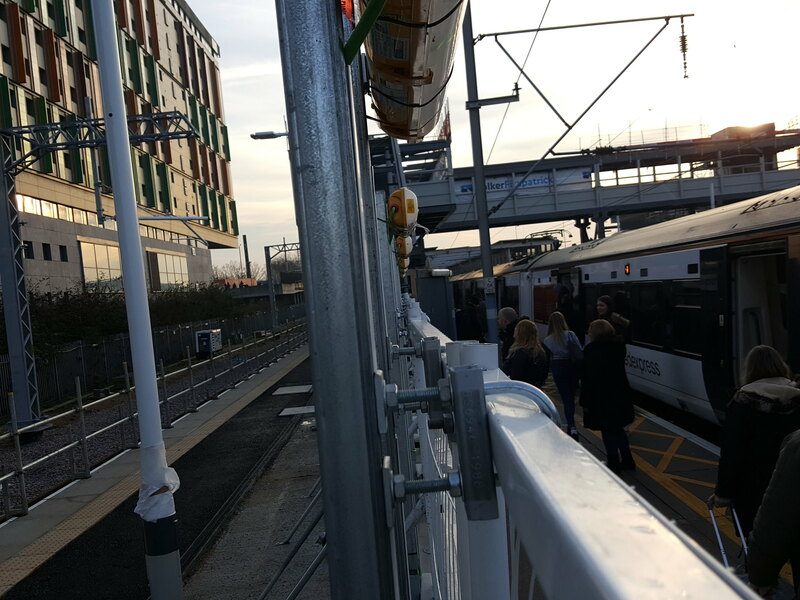 two gatelines - the existing LU one and then a relocated Gtr Anglia gateline - in the new design. Personally I don't see why you need that link. To walk round via Ferry Lane takes only marginally longer. I can't see an easy answer to this conundrum because having "behind the gateline" interchange will cause revenue leakage at this location. 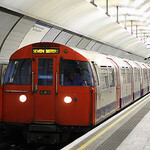 So many of the stops on the Gtr Anglia route are ungated meaning people would have open access into the tube via T Hale (and many other services at Stratford) without paying anythng on GA. AIUI the gateline for the Gtr Anglia services was mandated by the DfT who demanded action to reduce revenue losses. Removing the facility in the new ticket hall would almost certainly need DfT sign off which I doubt would be forthcoming. 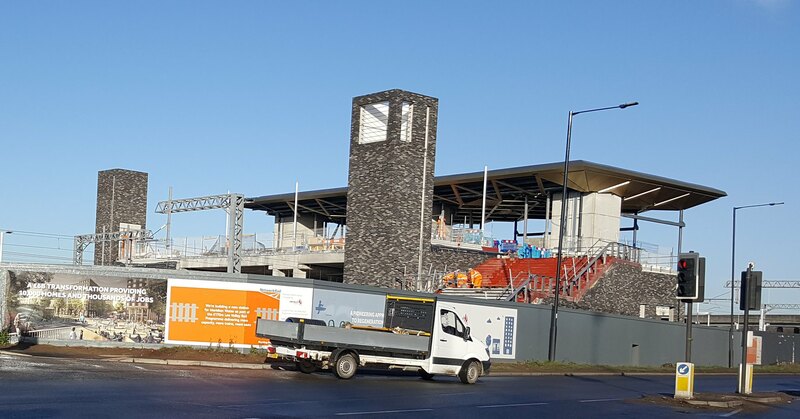 I'm sure I'm asking something thtat is common knowledge but who will be operating this 'new' Meridian Water to Stratford service when it opens ...Greater Anglia? London Overground? Someone else? There was originally an option for LO to operate it. There was even an option for an extra 710 train in the contract for those trains with "STAR" as the reason. However as Dom K says it is now part of the Greater Anglia franchise as a supplement to the Train Service Requirement. Sadly I read elsewhere yesterday that the opening date for STAR has slipped from May 2019 to possibly Sept 2019. I've been looking forward to the extra frequency kicking in as that link is very useful and faster than using the bus providing I get a decent connection at T Hale. The higher frequency will cut wait times down hugely. The Dft have announced that they agree to the closure of Angel Road station with effect from May 2019. The decision has to be ratified by ORR. This partly deals with suggestions that the new STAR service may not be ready by May 2019. Clearly it may be possible to partially open Meridian Water station and just have existing Angel Road departures transfer across if the third track and associated works are not ready in time. I am slightly surprised that Meridian Water will be completely unmanned. Strikes me as a bit poor really. Means Meridian Water station opens May 2019 to replace Angel Road but only with the current M-F peaks only service. The supplemental service from Stratford to Meridian Water likely to start in September 2019. This means we have a brand new station sitting largely unused for 4-5 months except in the peaks. Even when the shuttle service starts Meridian Water only gets 2 tph M-F off peak and weekends - nice generous DfT franchise specification. (rolls eyes). Did anyone else think 'ffs' when Enfield's 'Design Champion' introduced himself on the video? Not really. We would not be getting the new Meridian Water station nor the extra track without Enfield Council having pushed so hard on the transport aspects needed to support their plans for the redevelopment in the area. I suspect the "new walkway" aspect of the Meridian Water station will prove to be pretty popular pretty soon. The railway really does cause a lot of severance in that part of London and the walking environment on or near the North Circular is appalling. Something that will be much better will be appreciated by the locals south of Montagu Road (and west of the railway) who will gain a convenient walking route to Tescos (and the station) if nothing else in the short term. Reminds me of the bloke on Monty Python describing his new hi-tech slaughterhouse.